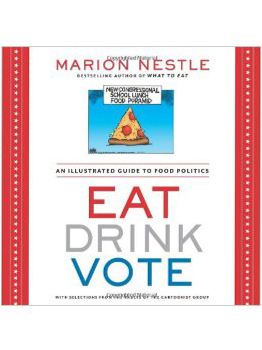 Marion Nestle is widely known for revealing the politics of food through books such as: What to Eat, Food Politics, and Pet Food Politics. While interesting, these books can be tough reads and they’re long…I don’t know about you, but it’s hard for me to find the time to read books that are close to 500 pages! Nestle herself admits that explaining how food lobbies exert influence over federal dietary advice can put people to sleep. Nestle uses dozens of cartoons to illustrate a wide range of food politics on topics such as: the obesity epidemic, the food pyramid, GMOs, power of lobbyists, fast food, food labels, cost of food, world hunger/food aid, sedentary culture, food marketing, the organic food movement, the locavore food movement, and more. To discuss food politics and see some of the cartoons highlighted in this picture book for adults, come to Natur-Tyme’s Healthy Living Book Club discussion on Friday July 18th from 5:30-7:00 PM. Healthy snacks will be served. I hope to see you there! If you’d like to join us, please send an email to events@natur-tyme.com so that we have a head-count. If you’d like to be added to our book club email list, send an email to bookclub@natur-tyme.com. Ladies-is YOUR Man from Mars? Gentleman-is YOUR Lady from Venus? When we first heard the title of this book it resonated with both sexes! Fifteen years later–have we learned? Have the rules changed even more? Is it even harder to interact with your partner in 2010? I say YES! Join us for a warm and humorous evening with the man who wrote the book! Get your ticketstoday! We are bringing him to the Civic Center on September 29th! 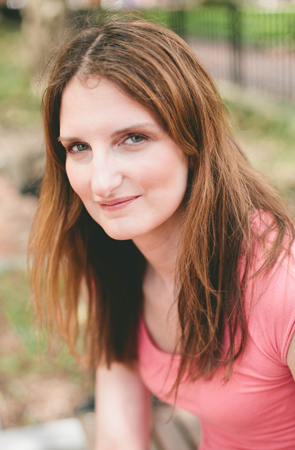 Dr. Gray will explain how science has validated what was suspected all along–we are wired differently! Oxytocin is the hormone of love, while testosterone is the hormone of desire. When women are feeling happy and in love, their oxytocin levels are high. When men are feeling motivated, passionate and romantic, their testosterone levels are high. These hormones of desire and love are not only the foundation of lasting passion in our relationships, but also for good health as well. That’s because oxytocin and testosterone are scarce commodities in bodies flooded with stress-related cortisol! How the stress hormones harm our health and our ability to relate to one another. How balancing our blood sugar is intricately connected to balancing our hormones. The important role of “superfoods” and good nutrition in replenishing the hormones. In short, you will learn how you can balance your hormones for a better relationship and for better overall health. John Gray’s personality makes learning this important information fun and lively! Get a taste of his humor and knowledge by listening to my audio interviewwith him. Click play on the radio show for September 12th. I hope to see you all on the 29th!